In talking, consulting and partnering with enterprise organizations on mobile technologies, I was most surprised by the hesitation and lack of clear vision about how and even whether to make use of mobile devices to achieve business objectives. In some cases, I observed IT blockades where product and business leaders struggled to initiate a development project simply because of a murky mobile device management plan/approach. There were also occasions where organizations were several technology generations behind current standards – both in terms of desktop software like modern browsers as well as enterprise web application coding standards – resulting in additional barriers to achieving aggressive mobility goals. Services like Twilio are useful in these situations as they can quickly, efficiently, inexpensively and securely demonstrate the power of connectivity paired with enterprise data in well thought-out contexts, experiences, workflows and applications. It also allows all levels of an organization to be thinking about the problem at hand that they are solving as opposed to focusing strictly on the “look and feel,” branding, etc. I often emphasized the importance of focusing on the users, workflows and the resulting experience design. Unfortunately, there were occasions in which a premium was placed on adding features and functionality haphazardly simply to load up on upcoming releases to demonstrate progress. Additionally, the mentality of v1 perfection conflicted with a more comfortable and effective “ship and iterate” approach where incremental progress could be made, demonstrated and rolled out on a more frequent basis to pilot groups of excited business users in the field. Lastly, mobility tends to necessitate a bit of (initial) discomfort for those responsible for supporting these initiatives. I often noticed a trend in which API preparedness was quite low, both from a technical as well as a business perspective. The progress, integration and deployment of new data-driven mobile solutions can be slowed significantly in the absence of proper security and API / web services availability. What were these companies looking for in terms of a mobile solution? Typically they were looking for something that helped improve and/or optimize training/collaboration/data collection processes, allowed for more seamless logistical flows, delivered time- and rule-based notifications and generally made data behind legacy and complex systems available in new ways on-the-go. Throughout all of the above, organizations sought to ensure proper use of single sign-on / authentication / VPN mechanisms to provide the highest level of data transport security. There is also a growing need for access to this data in both connected and disconnected states which has resulted in a need for more advanced and robust caching and synchronization approaches. Do you think Twilio could play a role in terms of increasing mobile app security for example, through, two-factor authentication? 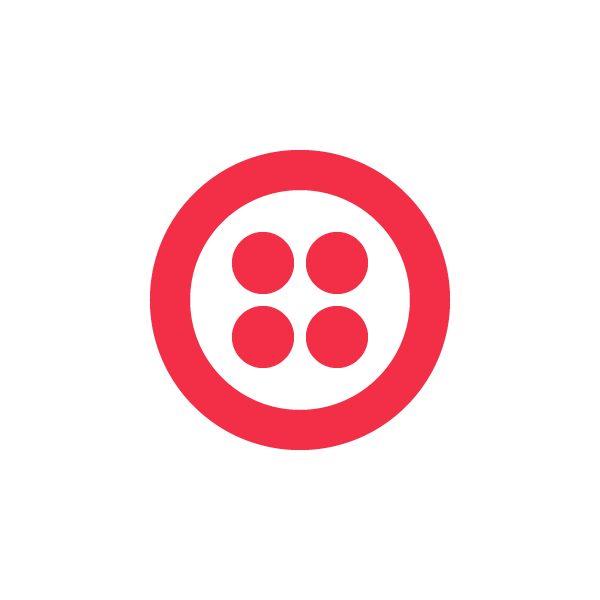 Sure, I think Twilio can play a role here by serving as a useful extension to existing MDM (mobile device management) solutions. Adding multi-factor authentication, for example, becomes a much simpler task when the platform can handle the heavy lifting, avoiding weeks or months of complex systems integration effort. What were some typical expectations around mobile app development? Most frequently, organizations are astonished at the cost, effort, time and complexity of designing and developing mobile solutions (the mentality of inexpensive $.99 apps incorrectly translates perception-wise to dorm-room developers who can quickly deliver production-ready mobile software quickly and inexpensively). Companies frequently (and sometimes incorrectly) assume they can apply their existing “resources” such as QA and/or development to mobile-centric projects. Beyond that, assumptions are made about the speed in which existing team members could ramp up on a mobile technology, learn it and rapidly contribute to the development. Lastly, even with a golden app or mobile solution in hand, enterprise teams may look to apply default and potentially stale approaches to marketing, training, etc. It sounds like these companies were several generations of technology behind, how did you help them cross the communications chasm? The emergence and rapid rate of change of mobile technologies are particularly useful for organizations who need to play catch-up. The product design process can run independent of any technological baggage because there are likely fewer obstacles, naysayers and/or political hurdles to overcome. A number of approaches were taken to help organizations cross the communications chasm but no one solution fits all. For example, simple prototyping and live demonstrations can go a long way in portraying and visualizing the utility of mobile technologies — this is another area where Twilio excels and helps amplify the argument of why mobility is so vital and important within the enterprise. Beyond prototyping, applying a consistent and proven approach helped ensure that solutions focused on simplifying what are typically offline workflows, integrated smoothly with backend systems and surfaced a polished, intuitive front-end interface. Further, splitting projects into two phases (design, development/implementation) gave business/technical/executive leaders and stakeholders visibility while minimizing risk and obsolete/redundant work. Another aspect that certainly helped companies several generations of technology behind was simply the sharing of anecdotes about others in the space (what they set out to do, goals/milestones, approaches to problem-solving, benefits once launched and how to become more flexible for future derivative mobile technologies). This led to a number of speaking engagements across the United States focused on how to best use mobile devices in enterprise contexts, including the inaugural Twilio Conference in 2011. 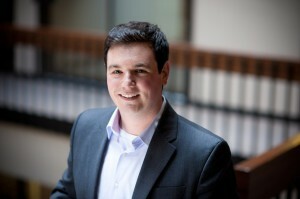 You can follow Jonathan Ozeran on Twitter at @jozeran.